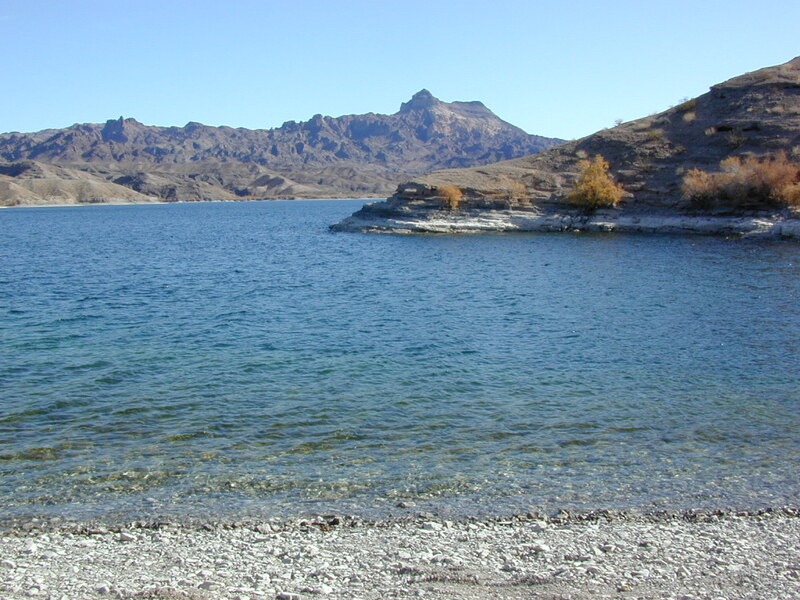 The lands surrounding Las Vegas are NOT managed by the NPS, National Park Service – but Lake Mead is considered a National Recreation Area. Hoover Dam is located at the south end of Lake Mead, then the Colorado river connects further down stream to Lake Mohave. Tourist are no longer burdened by the constant flow of traffic over the dam, because a beautiful, new bypass bridge has been recently built above the dam. Boating, kayaking, fishing, hiking, off-roading and camping are popular attractions at both the reservoir lakes. Mohave Lake is lesser known and therefore, less crowded. 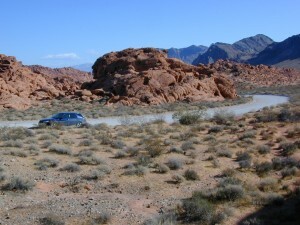 4×4 may be need to reach certain coves at Mohave. Most of the public lands in this Vegas desert are managed by BLM or the USDA National Forests. The Great Basin National Park is located in central Nevada, nearly 300 miles NW of the city of Las Vegas. Some folks know these rock walls as Red Rock Canyon, or Red Rock Park near Vegas – but the official name now ‘Red Rock Canyon National Conservation Area’ and the lands are managed by the BLM. 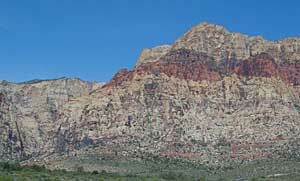 The closest red rock park to Las Vegas, this one is located at the far west end of Charleston Blvd. 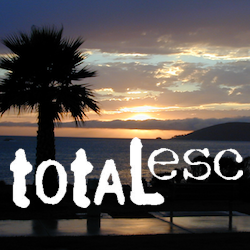 – an easy exit to find off the freeway Interstate 15. Day hikes, rock climbing, mountain biking, picnics and a large BLM campground. This desert range can get very windy and the only campground around is poorly located along the busy highway, on a ridge. Bring good tent stakes and be prepared for serious wind. Better camping options can be found over at the higher elevation Mount Charleston, see below. Several developed campgrounds are available in a pine forest setting. Some may charge a nightly fee, or a day use fee. Mary Jane Falls is well worth the hike. Two lodges grace this mountains, The Mount Charleston Resort is the big log and stone cabin along a straight away on Kyle Canyon Road #157. The Mount Charleston Lodge is above at 7717′ elevation and has a popular restaurant and nice modern mountain cabin rentals.